Potato is the king of vegetables. It is widely used in Indian cuisine. 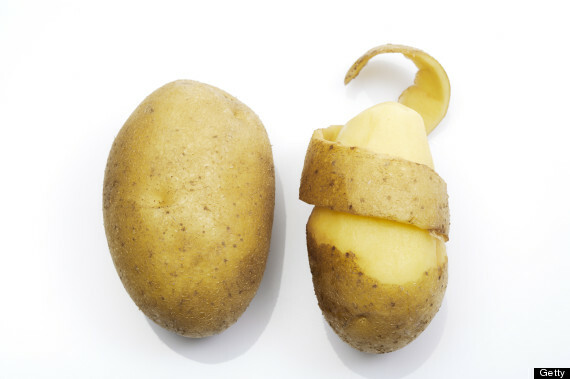 If you throw the skin of potato while preparing vegetables then you lose the hidden nutrients. Therefore, you should change your mind that potato skin has dirt and you should intake it with its peel. 1. Potato skin has high amount of fiber that helps a lot to digest food easier. If obesity increases by eating potatoes then you must have to eat it with skin so that it can be quickly digested in your stomach. 2. If you intake two or three boiled potato with the skin mixed curd then it becomes perfect diet. 3. Potato skin has high amount of vitamin C, vitamin B6, copper, potassium, manganese and fiber. 4. Potato and its skin have 20% iron and 8 gram protein which is higher than any protein-rich vegetables. 5. It has phytonutrients which is the source of antioxidant. It repairs the cells.